Harry And Judith Office Scene - Someone Has To Do It! Harry And Judith Office Scene – Someone Has To Do It! Home / Harry And Judith Office Scene – Someone Has To Do It! It is clearly apparent in this Harry and Judith Office Scene that there is a battle of hardheaded will taking place but it ends in harmony. They really are a good match for each other. Harry has just entered her Washington, D.C. office, and they are about to engage in a battle of wills. They are both hardheaded and stubborn about what they are convinced is the best solution to a given problem but the encounter ends in harmony. Harry and Judith Office Scene – in her Washington, D.C.
To take a journey to explore more of General Harry Faldwell and his fiancee Senator Judith Cranston, and their most unexpected encounters with extraterrestrial space-faring beings by going on the journey of reading The Emerald Doorway (Three Mystic Crystals) book one of The Parallel Time Trilogy series. Your own journey through this book will benefit you in ways you probably cannot yet imagine. Of course, these are just words. 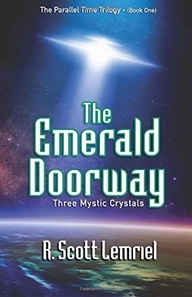 However, you can begin to remember much about who you really are as a being and what you were made to forget without your consent or awareness by exploring the hidden truth revealing depths of The Emerald Doorway (Three Mystic Crystals) book one of The Parallel Time Trilogy and The Seres Agenda book that contains a special techniques section added at the back of the book.